I came to the United States under a scholarship offered by the University of Oregon's Office of International Affairs. The International Cultural Service Program (ICSP) is a full tuition scholarship and an essential program for international students, the university, and the Oregon community. Together, the students in the program come from 34 different countries, speak 46 languages, and have the highest average class GPA. As part of the program, students are required to give presentations about their home countries to the local community. So far, I gave several presentations about Brazilian culture, music, education, and global citizenship. Given my interest in cross-cultural communication and multiculturalism, I have worked on a journalistic project centered around the idea of global citizenship in Eugene, Oregon. Scroll down to know more about the type stories I covered when I was a sophmore. According to UNESCO, global citizenship is one of the pivotal aspects of preparing learners for the challenges of the 21st century and can be, in part, achieved through meaningful and collaborative cross-cultural awareness. In fact, the city of Eugene, Oregon is the home of the University of Oregon, which claims to be a “home away from home” for more than three thousand students who come from different parts of the world to become a duck. As the third most populated city in the State of Oregon, Eugene and its international diversity allow constant cross-cultural relations between the communities of domestic students, from all over the United States, with other international students from 98 countries. With 14% of the UO community being international, its campus is the place where the idea of fostering global citizenship is played out through different cultural practices, languages, social codes, religious beliefs, and worldviews. Throughout the human experience, there have been many features that allowed humans to stand out, such as the ability to communicate and establish meaningful relationships over time, regardless of geographical location. However, with the advent of globalization and the Internet, cross-cultural interaction has become routine between communities around the world, allowing exchange of ideas with one another at a speed like never before. At the UO, diversity became special with the presence of nearly 3,000 international students from all over the globe who all have at least one thing in common: the desire to attend a top-notch university known for its academic excellence located in one of the most beautiful regions of the United States. Such cross-cultural interactions pave the way to understand the manners we relate to one another, cooperate and, therefore, live our lives. According to the longest study that ever was done in happiness by the Harvard Study of Adult Development, good relationships are really what keep humans happier and healthier. In such a multicultural world of a small town as though Eugene, Oregon, cross-cultural relationships take place in and out of the UO community in many forms. 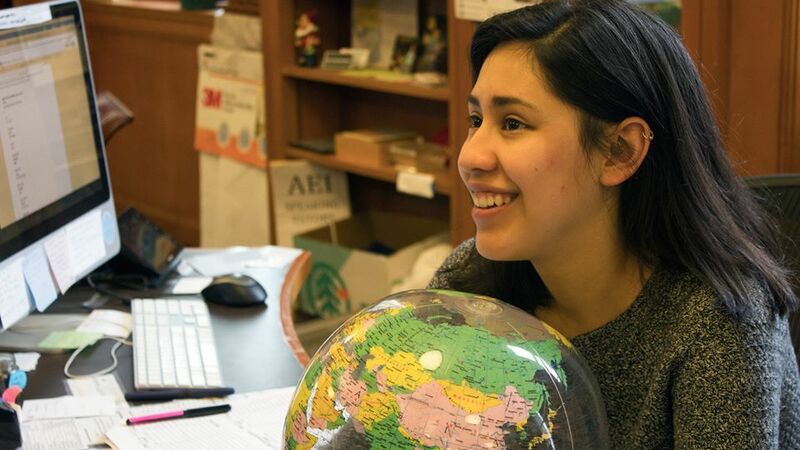 The idea of fostering global citizenship is the driving force in apprehending the dynamics of the several types of cross-cultural relationships in the UO and Eugene communities—from college couples to friends or local families. Global citizenship is also one of the three priorities of the UN’s Global Education First Initiative launched in 2012. The future of local cross-cultural relationships seemingly lies in promoting understanding and advancing collaboration toward sustainable progress, be it in Oregon or in the world. At the UO and Eugene community, cross-cultural relationships establish an atmosphere of mutual respect, communication, and international understanding which celebrates the importance of global citizenship. "Global Citizenship Education: Preparing Learners for the Challenges of the Twenty-first Century.” UNESCO. United Nations Educational, Scientific, and Cultural Organization, 2014. Web. 22 Jan. 2016. University of Oregon. International View Book. U. of Oregon, 2015. Print. What Makes a Good Life? Lessons from the Longest Study on Happiness. Robert Waldinger. TEDxBeaconStreet, 2015. In Eugene, it’s not surprising to find international students proudly hanging their country’s flags. However, it is unique to see an American hanging an international flag. “This green-and-yellow Brazilian flag brings back memories of the experience that changed me completely, and made me understand more about the world,” says Alexandra Couraud, a junior at the University of Oregon who started hanging a Brazilian flag outside her downtown Eugene apartment after studying in Brazil. In fact, Alexandra enjoys expressing her empathy for others while embracing diversity. “I identify so much with Brazilian culture and Portuguese language, but this flag matters way more than just its nationalist sense. It reminds me every day that there are more ways of living than the one I was exposed to as an American,” she says. Alexandra assists international students transitioning into American culture as part of the Peer Mentoring Program offered by the UO’s Office of International Affairs. Alexandra is oftentimes called Loirinha Brasileira (little blonde Brazilian) by her friends at the University of Oregon, an allusion to the famous Brazilian song “Girl from Ipanema” by Antonio Carlos Jobim and Vinicius de Moraes. However, Alexandra’s journey started far away from the famous Brazilian beaches one usually sees in travel guides. With a strong sense of self-motivation, Alexandra is about to move to Buenos Aires, Argentina. She aims to work for the Peace Corps somewhere in Latin America to advance her hands-on experience in becoming a global citizen and aiding the world. “I believe our generation is capable of changing the world, but we do need to value each other’s cultures the same way we value our own,” she says confidently. This is an audio slideshow featuring Sara Fatimah, an international studies student from Pakistan. This 60-second video shows her involvement with the International Cultural Service Program (ICSP) at the University of Oregon. Sara Fatimah has written an essay under the title: "Living in Diaspora: The memoir of a Pakistani and a Brazilian in the United States." The essay approaches our cross-cultural friendship in relation to our lives in the U.S. as foreigners. Located at the heart of the University of Oregon campus, the Mills International Center is a hub within the EMU devoted both to U.S. and international students who want to get to know more about themselves through an interesting approach: by getting to know other cultures around the world. With an international staff that comes from different places in Asia, Europe, Africa, and North America—and that together speaks 23 languages—the Mills offers various resources for more than 37,000 visitors per year in more than 320 events. 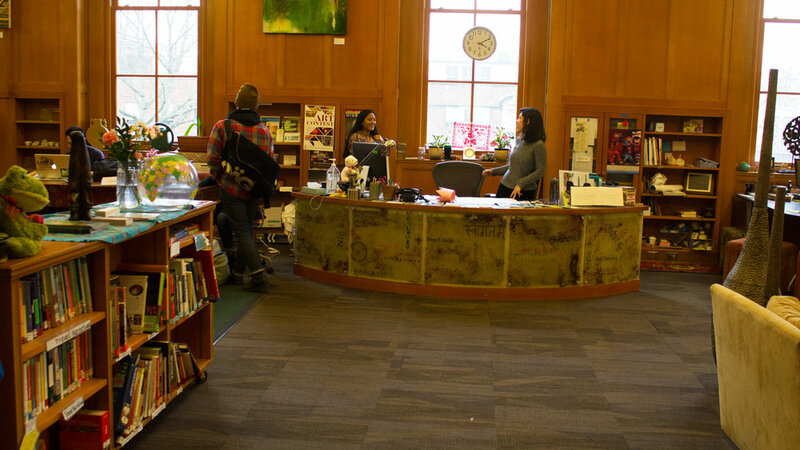 Visitors are able to take advantage of an international library that lends many collections of travel guides, travel narratives, international cookbooks, dictionaries in various languages, maps and atlases, and international newspapers and magazines. Some of the events include game nights, art exhibitions, food for thought, coffee hours, language circles, etc. By creating meaningful relationships with everyone who visit the center, regardless of their origin or cultural practices, the Mills is also a place to hang out with friends. At the Mills, it possible to get to know people who came to Eugene with different dreams and upbringings, which allows visitors to comply with the idea of global citizenship as a pivotal factor in making the world a better place.